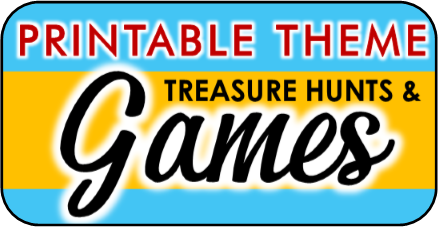 This game will get all of your guests geared up for a little fun competition! Have your guests separate into teams. Depending on how many guests there are you can do two or more teams. Give each team a name of one of the characters from the cartoon. For example, The Mean McQueen's, The Towing Mater's, or The Rockin' Doc's. Set up an obstacle course in an open play area like a backyard. Some good items to use are old tires to jump through, plastic cones to run around, small boxes to jump over, and hanging hula hoops from a tree to climb through.You will need a timer to keep track of each team's race time. Have the first team line up at the beginning of the course. This activity will get the creative juices flowing in your guests and also act as a take home favor. You will need foam car cutouts and foam markers. Or, if you prefer to utilize paint you can purchase wooden car shaped cutouts and paint. You can usually find either types of the cutouts at your local craft stores. You can also print out a plain car shape and use it as a guide to cut out your own car shaped using different colors of foam sheets. Allow each guest to create and decorate their very own car. They can name them and even create a story behind them and share their awesome creations with one another once they are done. 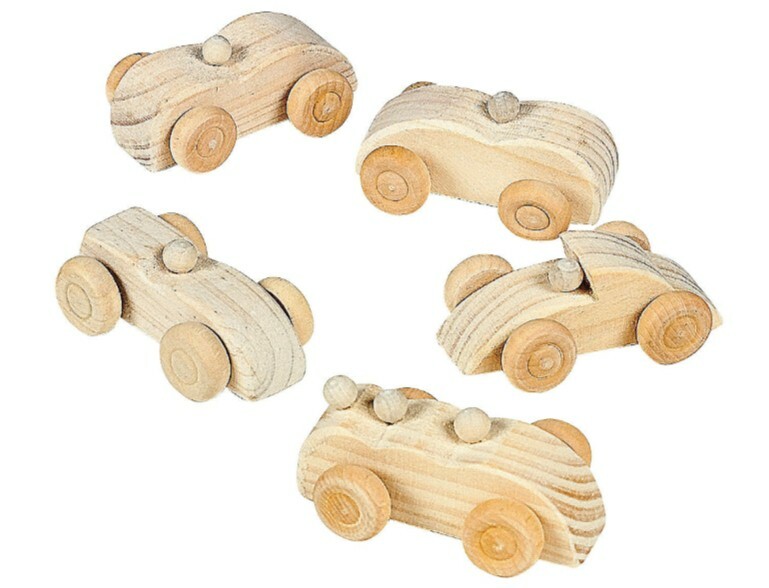 The kit below is sold on Amazon and includes 6 wooden cars. Provide paint, brushes and embellishments and let the kids mind's race with ideas! You will need nylon rope (can usually be found at a dollar store) and two tires. Have the guests separate into two groups. You will need to cut the rope and tie one end of the rope around a tire, make sure it is secure and won't come loose. Do the same using another piece for the other tire. Have the guests separate into teams. Designate a start and finish line for the players. Place the tires on the start line. The players will all grab a piece of their teams rope and get ready to start their towing. The object of the game is for each team to tow the tire by pulling together to get their tire across the play area as fast as they and beat the other team. Another option for this game is to use an inflatable pool tire (found in the pool sections at chain stores) and tie the rope to one handle. Then, have one teammate lie on the tire and tow them across to the finish line. The winning team gets a prize. Let's face it, Lightning McQueen had a very hard time listening to the rules. This game gives all of the players the opportunity to steps into his...wheels. Take a volunteer for who will be play Doc Hudson and call the lights. The rest of the players must go to the other side of the play area. Have those players stand side by side facing Doc. Doc will begin the game by turning his back to the McQueen's and shouting "Green Light". The players will then run toward Doc. Doc with then turn around while saying "Red light". The McQueen's must then immediately come to a stop. The last person to stop is out of the game and must go sit down. Doc will continue to call the lights as often as he wants until someone can tag him. The person that tags him wins the game and switches places with Doc. The game starts back over and continues for until everyone has played Doc or is ready to move on to the next game. This is a cute activity to get the guests using their creative little minds. You will need plain paper plates, multiple colors of pipe cleaners, markers, and scissors. Give each person a plate and have the remaining supplies available in the center of the table. They can now produce their own hubcap to take home with them. If they leave room in the center you can always make this a frame activity and take and print photos of the children to place in the center. You will need to purchase some ramp sets for this game. They can be found in the cars section of most toy departments. They have non brand name versions that are usually affordable. You will also need several cars with wheels that allow for rolling. Have all of the pieces ready for the children. Have the kids split up into two or more teams and assign each team a car. Take a volunteer for the first team to take the challenge. They will have ten minutes to design a ramp that will make for quick racing. Once they are done they will use their car to race down the ramp. The ramp will be judged by design, distance the car continues to roll and speed. You will need a timer for measuring speed. After each team has created their ramp and it has been tested you will tally the results and give prizes for each area considered (i.e. one for speed, one for design, and one for distance) you will give take a silent vote on best ramp and that team wins the Piston Cup. 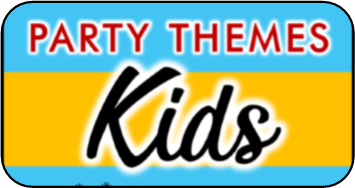 Check out this awesome mom's party blog - at solagratiamom.com to see how she brought her child's drive-in movie party to life! This is an activity any party goer can enjoy. 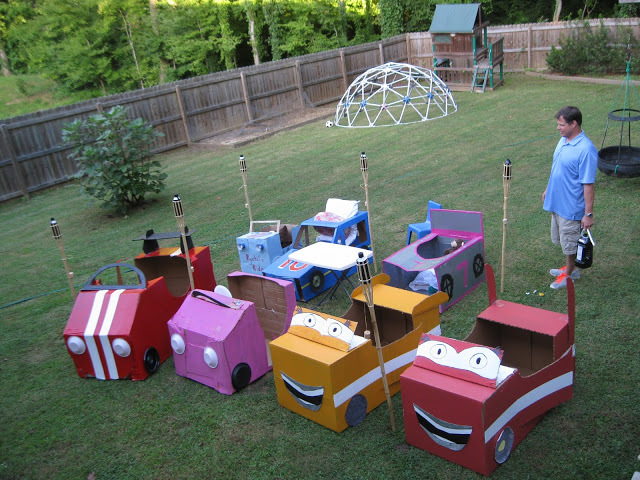 You will need the Cars movie ready to watch, some snacks and empty boxes to help create cars for your drive in movie. You will need to gather boxes before the party date. Each child will need their own box. They boxes should be big enough to have the children sit inside. Additional supplies you will need are spray paint in several colors, large black plastic plates (found at most party stores), construction paper, scissors, markers, and glue. Spray paint the boxes in different colors and attach the plates, two on each side of the box. These are the tires on the car you are creating. On the side of each car you will need to paint a number. That way each car is different. Once everything is dry you can bring them into the viewing area. When everyone has arrived give everyone a chance to design their own license plate using the constructions paper, markers, scissors, and glue. Once everyone is done, they can choose their car, attach their plate, take a seat inside their own car and enjoy the show!